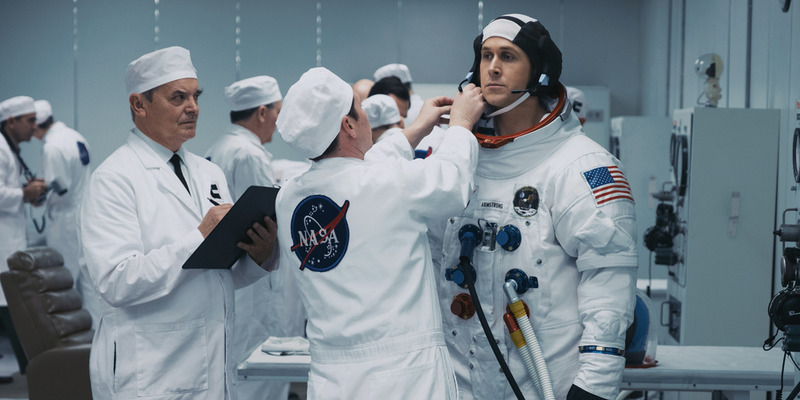 “First Man” screenwriter Josh Singer spoke to Business Insider about the controversy surrounding the fact that, in the movie, there is no scene of the American flag being planted on the moon. Singer told Business Insider that “if you see the film you understand why” that kind of scene isn’t in the movie. Before pretty much anyone saw “First Man,” the opinion of some was that it wasn’t patriotic. Why? Because the movie doesn’t have a scene in which Apollo 11 astronauts Neil Armstrong and Buzz Aldrin plant the American flag on the moon. And no one was more upset about this misconception than the person who spent four years researching and crafting the screenplay, Josh Singer. “One of the things that upset me the most about the flag conversation is this is very much a celebration of blue collar work, or patriotic sacrifice, which is what Neil embodied,” Singer told Business Insider. Singer said he and director Damien Chazelle’s main goal with the movie was to delve deep into the life of Armstrong and what he was dealing with not just technology-wise to get to the moon, but also personally. But despite that focus, the movie is still patriotic, even though we don’t see our heroes stick the flag into the moon’s lunar surface. In fact, the flag is shown in all its glory on the moon in a gorgeous wide shot that’s made even more majestic and patriotic as it was part of the footage that was shot on an Imax camera. “First Man” opens in theatres Friday.